End tables might be one of the last pieces of furniture you select, but they surely aren’t the least important. 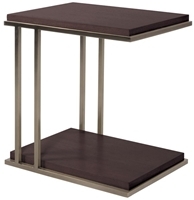 Small yet functional and convenient, furniture side tables add a complementary finishing touch to your room. Find a welcoming table for your entryway, a beautiful round lamp table for your bedroom or elegant lamp tables for the living room. These small pieces add style and functionality to any room in your home. 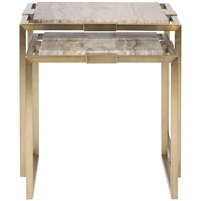 Whether you prefer an elegant or sophisticated design, our furniture side tables work with the other pieces of furniture perfectly curated in your home. 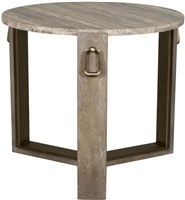 Family room end tables provide convenience and functionality while offering versatility in design. Use them to place your lamps, books, beverages and any extra decorations. 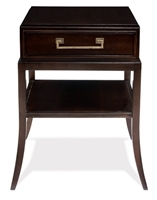 Create a reading setup next to your favorite recliner with an elegant side table for your living room. 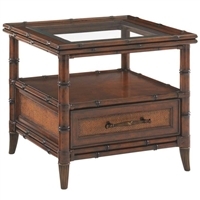 However you prefer to use your end tables, you are bound to find a classic addition to your living room at Patrick Day Home Gallery.